If you are looking for a really big selection of casino games to choose from then how do the 500 plus on the Roxy Palace Casino site grab you? This is a really well established site which runs on the Microgaming software and it should definitely be one of the casinos which you have a look at before you settle on one. Upon entering the site you are greeted by a very tasteful colour scheme and a lot of useful information. A slot machine, some playing cards and a roulette wheel let us know right away that we are in a well stocked casino. All the classy touches you would expect to see in a top online casino are here; the ticking jackpot total counter, the live help, the language options and the fast links to all of the information. It is a slickly put together site which has clearly been designed to let new members get playing as quickly as possible, which is fine by us. Slots, blackjack, roulette and video poker are the options you are presented with on the home page. There are plenty of options within those categories – as you would expect with over 500 games on the go. If you like progressive slots then the options include Mega Moolah, Major Millions and Fruit Fiesta are among the ones you might like to have a go at. Those players who prefer table games can choose from a huge selection. Names such as Multi Bet Baccarat Gold, High Speed Poker, Red Dog and Sic Bo all promise a lot of excitement to anyone willing to try them. The gameplay is excellent and you get the very useful choice of either playing instantly or downloading the whole shooting match to your desktop. The instant play option won’t give you as big a selection of games to choose from but it is a very good way to give the Roxy Palace Casino a whirl without spending too much time on getting it set up. If spending a couple of minutes downloading isn’t likely to be a problem for you then you will enjoy the wider range of games this brings to you. The headline deal from the Roxy Palace is a £1250 bonus for new players. You get this through a 100% cash match offer on your first deposit, 25% the second time you put down some money and 50% the third time. Among the impressively long list of offers on the site you will also find a weekly super bonus, a midweek money back deal, weekend power points, free spins frenzy, a players club and a hot slots league. 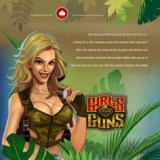 The range of promotions is excellent and it certainly adds another dimension to an already good quality casino site. We were very taken by the Roxy Palace Casino site. The games on offer are just what we were looking for and the overall package is very professional and welcoming. Special mention must be made of the promotions section, as we really enjoy playing in a casino which offers a lot of deals. The offer for new members is very good, although to be fair it isn’t too different from some of the rival sites round just now. What sets this one apart is the range of other incentives which help make it a good place to make some wagers. The slots leagues is probably going to be of extra interest to a lot of players but free spins, bonuses and money back are all promotions which will help you make a lot more out of your time playing on this site.